Due to unprecedented popularity, current wait times for cloth Nappy hire packs are 4 - 6 weeks from when you order. Most people who take the plunge and use cloth nappies think it's the best move they ever made. But it's a big investment initially. So to help you experience them before making your purchase, you can hire a trial pack for 2 weeks along with some liners and a wetbag. This should give you enough time to get a good feel for how great they are! Cost: €15 for 2 weeks plus fully refundable deposit of €85. The nappies will be 'preloved' (ie: they are not new) but will arrive to you clean and ready to use. We expect to receive them back in the same excellent condition you received them in at the end of the fortnight. You will receive a mixture of velcro and snaps fasteners in the V4 one-size, All-in-one Freetime, Elemental organic so that you can decide which you prefer. You will receive full instructions for how to wash, care for and put the nappies on your baby. You can also ring us on 01-9022712 or email at any time with any questions. If the nappies do not arrive back in a reasonable time after the due date, we reserve the right to hold some or all of the deposit. If the nappies do not arrive back in a reasonable condition, we reserve the right to charge for some or all of the nappies from the deposit. Once the nappies have arrived back safely and in good condition, the deposit will be immediately refunded to your account. Before first use, wash at 40 degrees 3-5 times without detergent. When the nappy is used, remove the insert from the nappy and store both items in a DRY bucket with a tight lid until ready to wash. Fasten tabs to laundry tabs on the inside of the nappy or wrap tabs around to the front. bumGenius are easy to wash at up to 60 degrees. Just use a little antibacterial nappy wash if you are washing at 30/40 degrees (check out our Bio D Nappy Wash). If you can, prewash cold, then do your normal hot wash. Use ¼ to ½ (¼ for high efficiency machines, ½ in regular machines) of your usual non-bio washing powder. Rinse well. Easy to dry – tumble the inserts on a low heat or hang on the line, the nappy itself is almost dry when it comes out of the washing machine so I wouldn't recommend tumble drying it. Every now and again, wash all nappies cold with no washing powder to prevent washing powder residue build up which decreases absorbency. 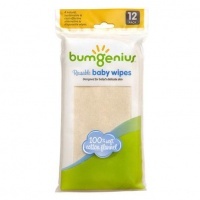 - Consists of 5 bumgenius v4 nappies to test the waters before plunging into the deep! Everything you need to become a cloth nappy supremo! What a great way to figure out what nappies you like using. Getting started with the cloth nappies is pretty costly so you'll want to know which nappies work for you and baby before investing in a number of them. I ended up going with different nappies than I would have thought initially. This was brilliant. There is so much variety in cloth, even within brands, so it was excellent to find what suited us best. I actually ended up buying very different to what I initially thought I would after the trial.